quot;God is the hub of our wheel, states Helen Roseveare, and we are the spokes reaching out to the rim of the world. 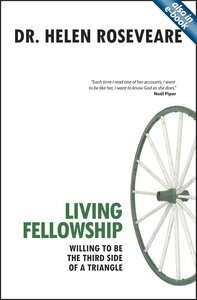 Living Fellowship examines the true meaning of biblical koinonia as a dynamic relationship between God, ourselves and others. True fellowship will involve submission, service and suffering. Taking each theme in turn, Helen Roseveare draws on the teaching of Scripture and personal experience to show the practical outworking of God's invitation to us to share in a relationship with Him.